No question, if either of these candidates finds a way to the White House, the integrative medicine field will have a friend there. This assessment suggests that Bernie is more likely to be an activist in prioritizing ways to elevate the role of these practices and practitioners in the future of U.S. health and medicine. The picture didn't surprise me. 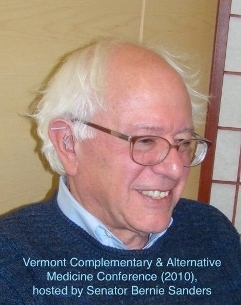 In 1996, I was invited to speak on insurance issues associated with what was then called "complementary and alternative medicine" at an unusual conference in Vermont. Then Congressman Sanders had convened a statewide gathering of all healthcare stakeholders to examine the potential in these new approaches and practitioners. Massage therapists rubbed shoulders with insurance executives, acupuncturists with hospital administrators. Relationship building began. One might expect this from Sanders. His candidacy can have a revolutionary feel of the 1960s era that seeded the transformative movement for integrative health and medicine. Yet for any single issue voters with integrative medicine as a core interest, choosing on the Democratic side of the race is not a slam dunk. Hillary Clinton has a long history as a backer. This was early in the movement for integration. News had just broken that a third of adults in the United States were using some kind of "unconventional medicine." Billions were being spent. Stakeholders of all kinds, such as those Sanders would soon be organizing, were awakening. The call came smack in the middle of the healthcare reform effort Hillary led. Everyone was wondering how to get into a process that was haunted and ultimately undone by a chosen strategy of exclusion and secrecy. Who's in? Who's out? The caller, from Hillary Clinton's personal staff, said the meeting in the West Wing would include only a couple dozen people. Clinton would share a process for how alternative medicine could give input to the reform team. Could we send someone? You bet! This was a first. We sent Joe Pizzorno, ND. A team of us worked like dogs to hit a deadline they'd set for a report on the possible contributions of the naturopathic profession to health care reform. Others submitted similarly. I'm not sure what came of it except the excitement. We were in the game! 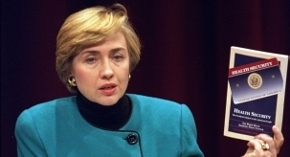 The Clinton presidency produced substantive benefits for the movement. Chief among these was the 1998 legislation sponsored by US Senator Tom Harkin establishing the NIH National Center for Complementary and Integrative Health and the White House Commission on Complementary and Alternative Medicine Policy. The 1994 Dietary Supplement Health and Education Act protected access for consumers to natural products. While not known as Clinton projects, per se, these were giant steps during the Clintons' watch. Such work was not a priority after Hillary's election to the Senate. Senator Clinton was not known as a Congressional leader in the integrative medicine area. 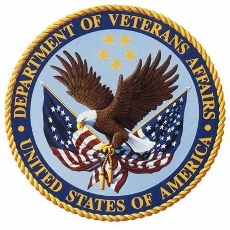 Sanders advocacy continued in his role as chair of the Senate Committee on Veteran's Affairs. He prioritized vastly expanding veterans' access to integrative approaches as a key part of comprehensive legislation. He held a widely-covered hearing on integrative alternatives to pain drugs. His statement on the topic is here. Hillary and Bernie have also each helped the integrative medicine movement beyond the legislative arena. The type of contribution reflects their portraits: the rumpled organizer and the friend of the wealthy. A Fortune cover story on Hillary's financier backers describes a meeting between Hillary Clinton and then Morgan Stanley chair John Mack. With Mack was his wife Christy, a co-founder and chair of the Bravewell Collaborative of philanthropists in integrative medicine. Bravewell was known for powerfully influential strategic investments in the MD portion of the integrative universe. They jump-started and supplied a decade of fuel to the consortium of medical schools for integrative medicine. Bravewell's philanthropists never invested in a parallel consortium of "CAM" academics. Christy Mack liked to clarify that to her"integrative medicine is not CAM." Her interest was all about the MDs. Clinton added a note of power and glamour to a November 2013 black-tie Bravewell event the Macks chaired in New York City. She put in an appearance in an exclusive room at a pre-dinner cocktail party. The Clinton's are famously also "advised" in their health by influential functional medicine doctor and author Mark Hyman, MD. A key link to Sanders has been massage therapist and University of Vermont Medical School researcher Janet Kahn, PhD, LMT. The former executive director of the Integrative Health Policy Consortium, which represents multiple professions, linked with Sanders on bringing "CAM" professions into the workforce. He sponsored a 2010 conference on integrative medicine. His promotion of these fields in his home state helped bring these practitioners into the workforce there. The poor are not left out. Vermont's Medicaid covers naturopathic physician services. Naturopathic doctors there can be leaders of patient-centered medical homes. If the exploration of the two candidates' views expands to closely related issues, other differences quickly emerge. Hillary has close ties to Monsanto. Bernie has vowed to protect organics and has "called out Monsanto." In addition, Hillary "tops the field" in taking money from pharmaceutical companies. Bernie has been on the front-line challenging the pharmaceutical industry and successfullyblocking industry nominee Robert Califf, MD to head the FDA. Notably, neither candidate is choosing to elevate integrative health and medicine as a talking point in their national debates. If one searches for views of the candidates, Bernie is open and direct in his support. No similar statement from Clinton is readily accessible.